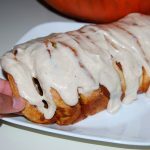 This easy pull-apart bread with pumpkin spice frosting is so GOOD, it will surely disappear quickly! 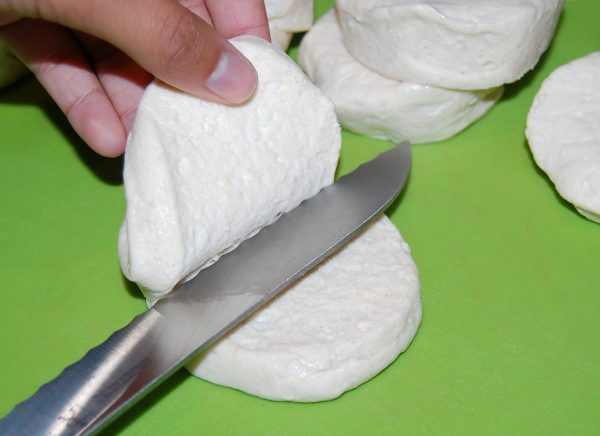 PULL-APART BREAD: Using a serrated knife, cut biscuits in half, like you’re making a sandwich. Pour granulated sugar and 1 teaspoon pumpkin pie spice into a gallon-sized Ziploc plastic bag; shake to combine. Drop biscuit slices 2 at a time into the bag, seal and shake to coat with sugar mixture; repeat until all biscuits are covered. Set biscuits aside. 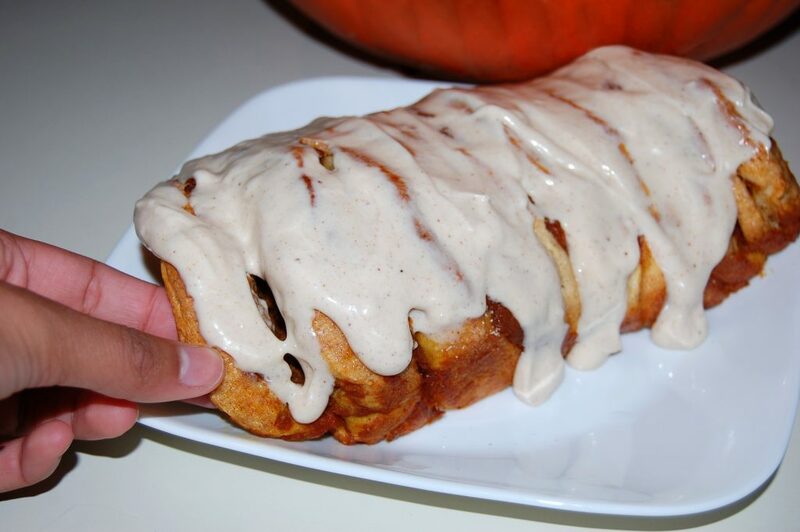 In a medium mixing bowl, combine pumpkin, 1/2 teaspoon pumpkin pie spice, and vanilla extract. 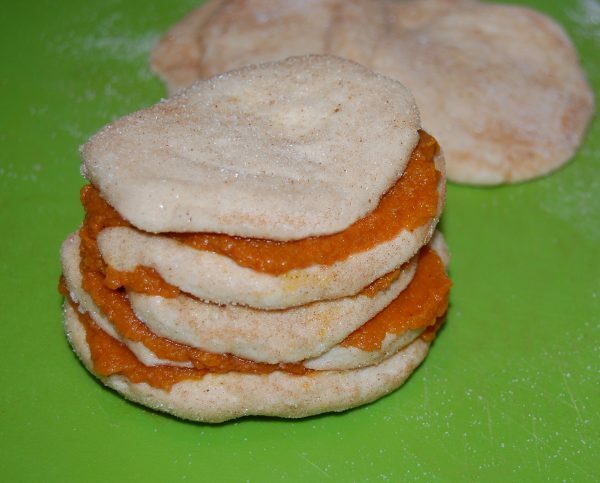 Using a butter knife, slather pumpkin mixture on top of a sugared biscuit, top with another biscuit, slather with pumpkin mixture; repeat until you have a tower of 8 biscuits. Do the same with the remaining 8 biscuits. 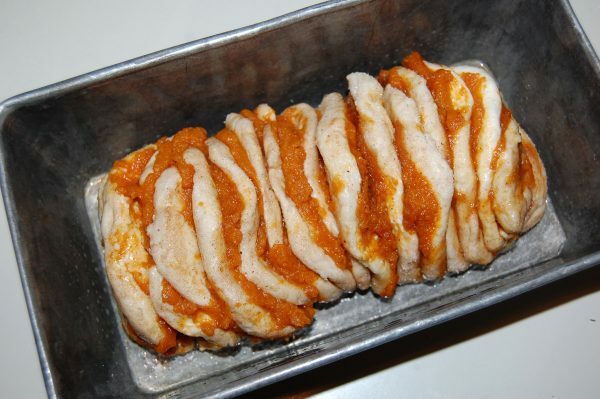 Place the two biscuit stacks into the prepared loaf pan. Bake for 35 to 40 minutes or until the biscuits have puffed up and turned lightly golden on top. Cool in pan for 5 minutes. Invert bread onto a serving platter. CREAM CHEESE FROSTING: In a medium bowl, beat the cream cheese until light and fluffy. Add confectioners' sugar, vanilla extract, and pumpkin pie spice, mixing on low until combined. Gradually add milk, mixing until it’s a pourable consistency. 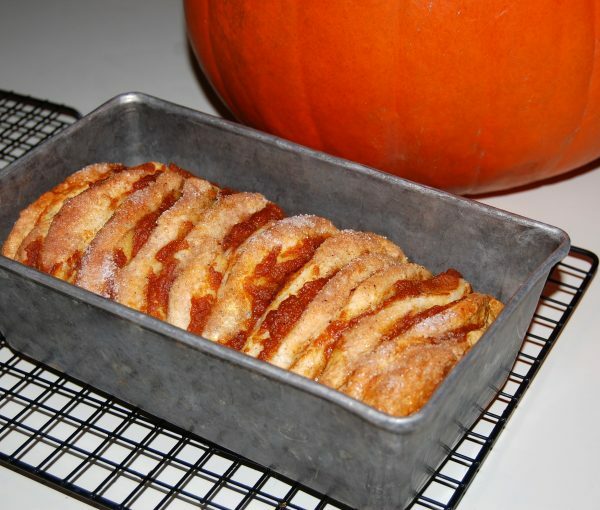 Pour on top of warm pull-apart bread and serve.